Among eleven vehicles selected by Lexus Motors to represent their brand at this year’s Tokyo Motor Show is the all-new Lexus LF-FC concept sedan. This sporty 2-door luxury car made its debut at this 44th anniversary of the highly anticipated event after a long tail of sneak peaks released by Lexus here and there since the first prototype was unveiled at the Detroit show in 2012, and more recently announced to be put into full production for the 2017 season. Looking from the outside, the Lexus LF-FC sports a look that pushes the edge of modern vehicle design, using smooth curves, long front hood and compressed trunk space in the rear. 21” aluminum wheels strengthen the look from the side wrapped around carbon fibre-reinforced rims. Lexus uses the LF-FC to highlight its floating “L-shape” day lights and taillight, held together by the signature three-dimensional grille that’s become a staple of the Lexus brand, albeit with a new mesh design. 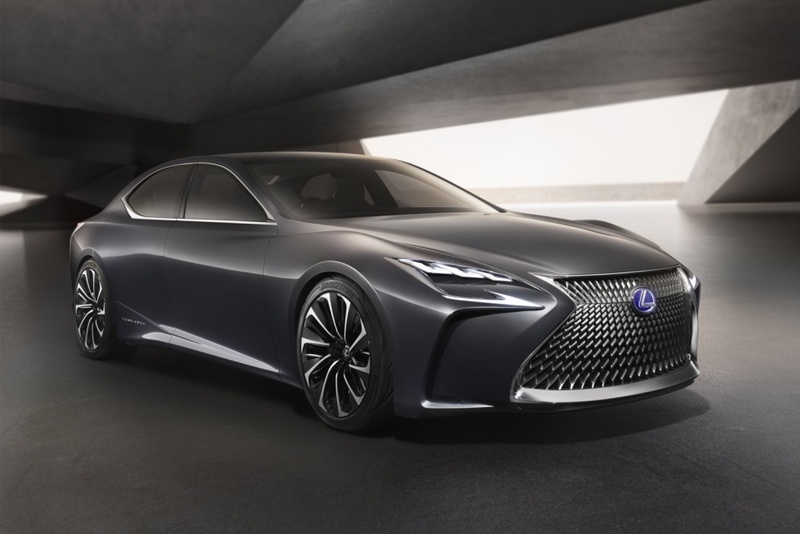 According to Lexus international president Tokuo Fukuichi, the LF-FC is a glimpse at what the new flagship LS sedan may carry forward in terms of the L-design features. The Lexus LF-FC obtains a high power output from a proprietary hydrogen fuel cell hybrid system that makes use of individual motors sitting at each wheel in an all-wheel drive configuration. A T-shaped arrangement of the hydrogen fuel tanks make the best use of weight distribution properties to keep the LF-FC’s center of gravity low and well balanced, allowing for optimal performance of all parts, which is subsequently reflected back to the driver behind the wheel. In production now, the Lexus LF-FC is set to be released for the 2017 season to compete against other luxury sedans on the market such as the BMW 6-series. 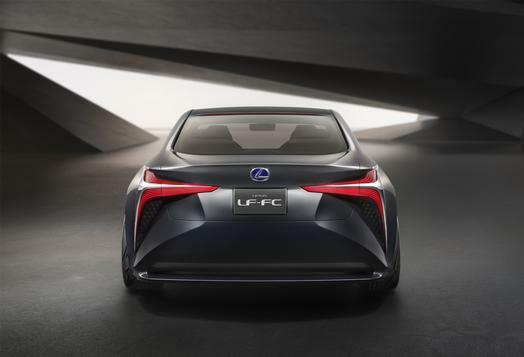 It is unclear what if any features Lexus plans to update or change for their main production line of the LF-FC, but at least now car enthusiasts have been able to get a close look at the vision of one aspect of future Lexus vehicles. We will be sure to keep on top of any details as more information is released in the future.